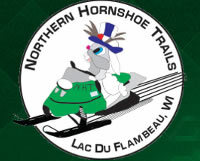 For more information please go to http://www.hornshoe.org : Northern Hornshoe Trails provide the most current information on our area trails. Do not cross any lakes that aren’t marked – They are NOT safe! Come out and have fun riding our trails! Whenever you ride, be SAFE!